Are there real demons here on Earth, and do sporadic sightings of strange and elusive creatures provide the proof? 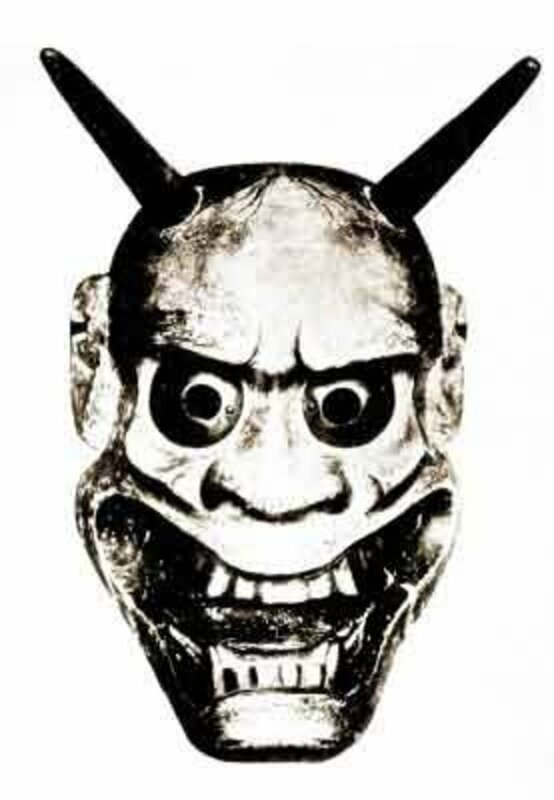 Speaking in a religious sense, demons are usually depicted as agents of evil. They’re supernatural beings that come from the spirit realm, forms of darkness that lurk in the shadows. Some say they’re fallen angels, banished forever from God’s light. We are all familiar with these stories. Whether you believe them or not is, of course, a matter of personal opinion. But let’s consider another theory: Is it possible there are strange creatures here on Earth, rarely seen and undocumented by modern science, which have inspired mankind’s fear of demons? Perhaps they are entities from another dimension, visitors from a spiritual plane or real flesh-and-blood animals. They’re appearance is terrifying, nearly as much so as their behavior. Possibly they simply wish to exist on their own terms, and mean us no harm. Or maybe they are messengers, who appear only to pass on important information. Maybe, they are really evil after all. 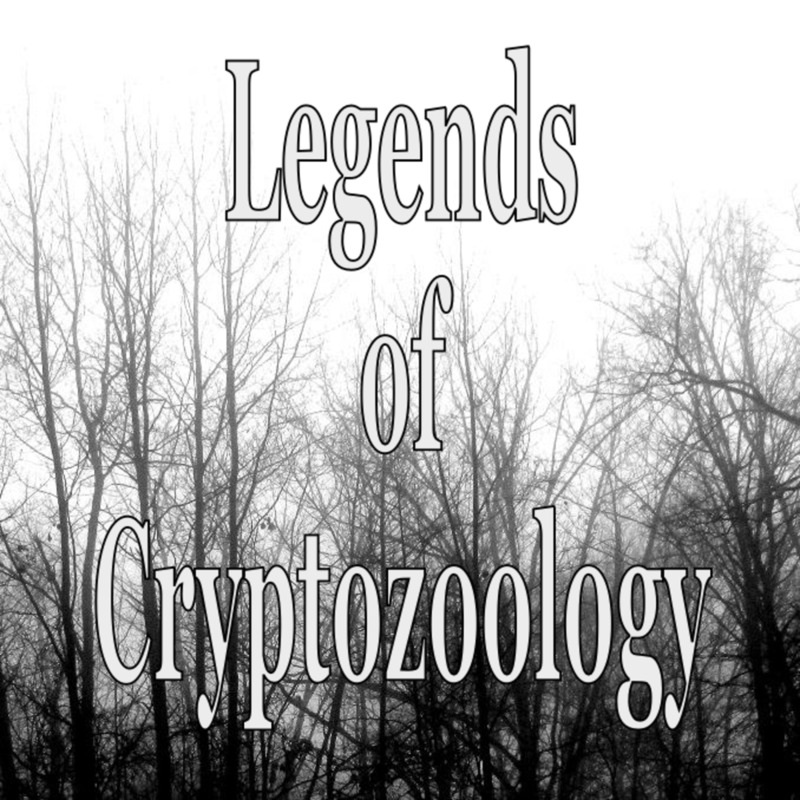 The world of cryptozoology is filled with strange, mysterious creatures. In this article we’ll take a look at three cryptids that have baffled the public, the authorities and the academics for decades: The Mothman, the Jersey Devil, and El Chupacabra. We’ll examine the stories behind the sightings of each, and see what similarities exist. In the end we’ll try to answer the question: Are they real-life demons here on Earth? Glowing eyes: Witnesses of all three of these beasts report glowing eyes that struck terror into them. Of course we’d expect nothing less from a demon! The events that occurred in a West Virginia town back 1966-1967 have cemented the Mothman's reputation as a terrifying supernatural being. But what is this creature really, and what role did it play in those events nearly half a century ago? That same evening, a man nearly 90 miles away was rustled out of his house by a strange whining noise. In his backyard he discovered a large, terrifying creature with glowing red eyes. Local authorities united and scoured the land in a search for the creature, particularly the vicinity of the abandoned TNT factory where it had been first sighted. As they searched, many more people had their own sightings of the bizarre and frightening creature. Each told the same story: A large, flying man-like entity, with big, glowing eyes was reported in each case. Sightings only subsided with the tragic collapse of the Silver Bridge in Point Pleasant, which occurred on December 15th, 1967. Some believe the Mothman had come to warn the town of the imminent disaster, but was unable to communicate its intentions. Others believe it may have caused the destruction of the bridge. The Jersey Devil is a horrifying supernatural entity that came to the public's attention during a brief period of mayhem in the early part of the 20th century. But it has been around much longer, and its presence has spawned numerous origin myths to explain what it is, and where it came from. Below is an artist's rendition drawn from eyewitness accounts back in the early 1900s. What is this thing? The Jersey Devil may have the most direct claim to demonship by name alone, but there are also those who think it could also be a real flesh-and-blood animal. It has haunted the Pine Barrens of New Jersey for hundreds of years, and is said to be a bipedal creature with the head of a horse, bat-like wings, cloven hooves and sharp claws. Some cryptozoologists believe it may be rare animal that resides in the dense woods of New Jersey, but legend says it is something far worse. Stories that attempt to explain the Jersey Devil vary, but most of them revolve around the pregnancy of a women who curses her child, which then turns out to be demon. It’s likely these tales were fabricated to explain a creature that was already well established in the Pine Barrens before Europeans began to populate the area. 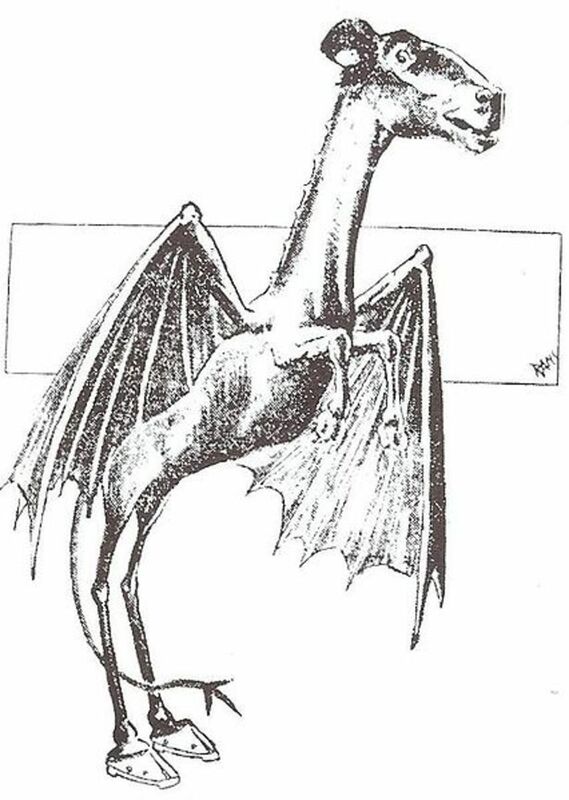 Native American tribes referred to the Barrens as the Place of the Dragon, and dragon is certainly a fitting description for the Jersey Devil. The Devil most notoriously made its presence known during an outbreak of sightings back in 1909 when over fifty separate incidents were reported during a one-week period. In several cases the Devil was seen by law enforcement officers, government officials and large groups of people. The Devil was said to attack livestock, and even exhibited aggression toward people. In one story it was shot, and proved impervious to the bullets. For a week the Jersey Devil terrorized small towns in New Jersey, and was even spotted as far west as Philadelphia. Just as suddenly as the beast appeared, the sightings stopped. The Devil is still seen on occasion today, but for one week in 1909 it seemed to be on a mission of some sort. Alien. Demon. Genetics experiment gone wrong. There seems to be nothing that can truly explain the terrifying Chupacabra. This is a monster that defies science and logic, with a winged, humanoid build that makes it reminiscent of cultural depictions of a devil. Does the presence of this being and others like it explain alleged sightings of demons around the world? In Puerto Rico, back in 1995, something began preying on local livestock in strange ways. It came in the night, terrorized local villages, and left without a sound. Like a vampire, this creature appeared only to be interested in the blood of its victims, and would leave the rest of the animal behind. Farmers and ranchers were dumbfounded, and could do nothing to stop it. Then one night the terrifying culprit was finally spotted, and it was like nothing anyone had ever seen before. Everywhere it went there were tales of frightened people, and exsanguinated livestock. Speculations of its origin ranged from top-secret government projects, to alien involvement, to some bizarre and unknown animal just now seen for the first time. Today El Chupcacra is sighted infrequently. Some cryptozoologists believe it may be an unusual species of bat, rarely seen and undocumented by modern biology. But witnesses know what they had seen was no bat. Taken as a whole, what do we make of the sightings and evidence behind the Jersey Devil, El Chupacabra, and Mothman? Some would say they are legends built on the power of mass hysteria and suggestion. 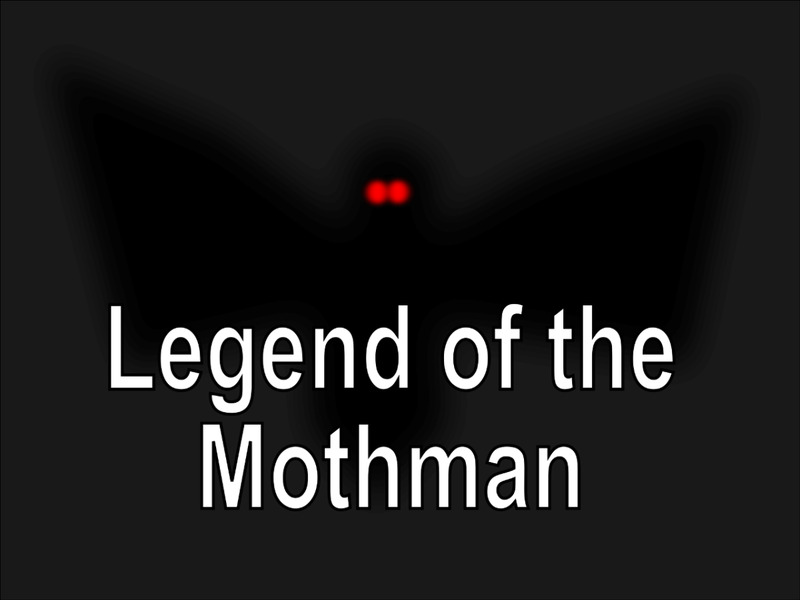 It has been speculated that the story of the Mothman began with the sighting of a large, white owl. Many say the Jersey Devil may be misidentified Sandhill Cranes. Certainly humans are fallible when it comes to our senses, and many a rumor has begun based on half-truths. Then again, stories of demons here on Earth and ghostly spirits tormenting humans.have been with us for thousands of years. Who is to say what form they may take, and how they may appear to us. All three of these creatures have done their share to torment and terrify people. Would this not be on the agenda of the average demon? Until we have better knowledge for why they are here and what they want, El Chupacabra, the Mothman and the Jersey Devil can be explained as real demon sightings just as well as anything else. Yes. They are fallen angels. Yes, but I don't know what they are. I'm thinking these things might be demons! Chupacabra Sightings and Video: Proof the Legend Is Real? I swear they are all real. You can feel there spirits when there close, and you can also use a Ouija board to tell. Trust me, they are here.. they wont hurt you unless you do something to make them angry, or annoy them. Otherwise, there are no demons. People with not really well-functioning brains are real, though. Schizophrenia, depression, other illnesses can cause hallucinations. The problem occurs when these people attack others thinking they are demons. What demons actually are is the disembodied spirits of the nephilim. Do you know the story of goliath? When goliath died, his spirit is a demon. Goliath was an abomination creature. Meaning he is an offspring between human and angel. The fallen angels did this in an attempt to thwart Gods plan of salvation via a messiah. They couldn't corrupt the savior like we are born with sin because sin passes through the seed of man. So the tried to alter the DNA of the entire human race. This is why the flood of Noah took place. Noah and a few others was the only pure humans left. The Bible is much more wise than a lot of fools realize. You here people say the God of the Bible is a tyrant or monster because he kills innocent people. Well they do so but what they don't realize is He had a real and good reason. They was not a creation of his. They was one of the generations of the abominable creatures. The later generations appeared as human but the earlier generations was more obvious and these are the ones the Bible refers to as giants. They was huge in stature and some where deformed or to some degree monstrous looking like say cycloptic. Nephilim , look it up if you want to know the real history. These beings are demons not fallen angels. Angels do not need to posses anyone to interact with our world. Demons do. Here's a couple of stories and things I experienced at my old place. I used to live in a 15 year old caravan. I don't know who else had lived in in apart from the landlord, me and my mother. So I would experience 'supernatural' occurrences. It wasn't anything that major Things falling when they shouldn't have (one time my Wii remote fell from my shelf. It was behind some books.) etc. But, quite often, I would feel as if someone was watching me. Especially if I'm alone. I'm not paranoid, since I'm home alone quite a lot where I live now and I don't get it anymore. I always felt as if some sort of entity was like watching me or something. I don't really know how to explain it if I'm honest. But, there's something that really creeped me out, and I've only now thought to finally look into it. I haven't really told anyone because they probably won't believe me. I still remember it as if it was yesterday. My mother was working late again, so she would come home at 9pm. I was used to that. Anyway, I was playing on my PS3. Probably Skyrim or something. I don't exactly remember. But, I suddenly felt a strange feeling of dread and fear for no reason at all. I was terrified of going out of my room but I didn't know why. I soon became hungry so I wend to make some food. I thought 'what could go wrong?' so I opened the door to go to the kitchen. When I stepped out of my room, I heard a deep, demonic laugh and I saw a tall, shadow-like figure There was nobody the same height as him that I knew lived close by. But, he also had huge demonic horns. I'll chime in here and share my story that is 34 years in the making. It's a long one so I apologize ahead of time and just want to say I believe every one of you that has seen or felt a demon in your presence. Some accounts happened when I was too young to remember but my parents told me about them and the latest when I was an adult (I'm 41 now). About a mile down the road we encountered a procession....carrying a coffin. Had he not slowed down there would have been a lot more dead than the person in the box. We then moved to Jersey in the early 80's and things started to get really strange. One morning when I was about 6 years old I saw an old lady walk into the kitchen...I ran after her and only saw my mom cooking. I asked her where was grandma (strange thing is I did not call my grandmother that). So my mom freaked out and asked me what I had seen so I told her just that. Two days later my grandmother came over to tell my mom that my grandmother's mom had passed two days ago and she just found out. Age 7, it very was early in the morning and no one was awake at the time. I was lying in bed staring at the door (that was half open) when the most paralyzing vision of what I believe to be a demon stuck its head into the room. The thing was about 9 feet tall and had a flat, flesh colored cylindrical head that was covered entirely with eyes of all sizes and colors. It just stood there looking at me and in my terror I just threw the blanked over my head for a few seconds, when I peeked over the covers it was gone. Till this day I can not get that image out of my brain and I have always wondered what it was until now...but I'll get to that in a bit. Age 9, One of my favorite things to do was drawing...on anything...it still is. During the winter months the windows in those old Jersey building fog up so they make for perfect finger drawing surfaces. The way the street lights hit the water beads made for an even better drawing (to an 8 year old I guess). So I began to draw buildings over and over and over again. Since our apartment had so many windows I was at it all night. When I was done my mom came over and asked me about one particular drawing so I explained why I did it. I told my mom this was a drawing of the Twin Towers breaking in half (exploding) and that we had to leave this place because the same thing that happened in our country was going to happen here. We left our country running from a cival war that destroyed the backbone of everything my parents had worked so hard to achieve. We moved the next year....freaked my mom out yet again. This sort of thing happened over the years into my adult hood. I was able to sense the death of my brother-in-law's best friend about a week before it happened. I saw an accident in my mind from looking at a car just to find out a couple months later it belonged to a co-worker that had gone missing and was almost decapitated. I was able to feel the agonizing experience my parents and sister went through when they decided to revisit Central America after almost two decades...they almost got lost in the mountains and thought they were going to die out there....I felt it all and even told my wife about the horrible sensation as it was happening. I don't really research paranormal things nor am I very religious but I do believe in God and the Devil. After years of analyzing what this thing could be I believe the demon that visited me was death itself. If it is covered with eyes then it can see everything...the past...the present...the future. Why else would I have been so in tuned with visions of those that had passed (the person in the coffin, my mom's grandma) those that could pass/in death's grip (my family almost getting lost and me feeling their anguish in real time...and visions of those that would pass (the world trade center deaths, my in-law's friend, my co-worker) and many other instances that I will not go into in this already long ramble. I have not been visited by this all seeing demon again but I wonder why, till this day, did it use me as I could not warn anyone...just that one time when the man in the box crossed my path. I saw a demon surfacing around my room one night when I was ten. It went on for two nights. I felt like I was awake, and I was, yet I saw it. No one in my family believed me. But it felt so real, I haven't gotten over it to this day. Me & my older brother had a horrific simultaneous nightmare when we were around 9 & 10....A lucid nightmare of a demon baby clicking claws like a dogs on linoleum...When I realized I was not awake or asleep looked down off bunk bed to see it snarling up at me--the only thing that snapped me out of it was my brother running into my room screaming "Did you see it too?". I honestly believe he saved my life that night.. I clearly think that demons do exist. I do believe that demons exists in physical form and in spirit . Lucifer and his angles were tossed out of the kingdom of god, and he is revengeful. They are not units of unattractive image but they are desirable. They present themselves to be glamorous and irresistible, so they can lower you in to be apart of there suffering. There journey is destruction and death. They are followers of Lucifer and they are destined for hell. There were angles that reverenced god and respected the lord, I believe that god assigned them to us for protection. I believe that God has created them for his own purpose. when i was 7year old a demon was sitting on my bed. off course i freaked out. what he looked like was a normal human. he was smiling but looked weird. its no joke. I still remember the face as clear as day. then it just disapeared in thin air. believe me if there a demon there also is GOD. As michelle said demons are indeed fallen angels that were thrown out by god for betraying him and rebeling against him. And truth be told i think that are here just to make us suffer and maybe they do it to show us the pain that they feel. I recently have been seeing beings which is what led me here today. I am trying to figure out what they are. They come for a few days and hang out in the back area of my home. It is wooded area. They watch us, for sure. They watch thru the windows. They also have the ability to come thru and form within curtains, or anything that will contain their body. Some are huge. Some are small. I believe they come thru a portal and are of many different ages. Some have bluish/green skin. Some look exactly like the alien pics that you see all over the web. Some look like demons. I seen one particular one that was quite charming, it seemed. From a womans point of view....quite handsome. He was huge and had beautiful black wings. In my mind I refer to him as a fallen angel. He could be the mothman this author writes about, idk. They all hang together, leading me to believe that demons and aliens are in definate cahoots with each other. Upon observation they seem to like cats, tigers and other animals. Often odd pets. LIke alligators. They also seem to like sexuality. The sexuality often is dark in nature. I fear them and am very intriqued all at once. I know this a way late reply but 18 years ago right before the birth of my daughter while traveling down an isolated road next to an an old Navy ammo storage facility I encountered a 4 ft white owl in the middle of the road when I got within 20 ft it flew away it's wing span was at least 12 ft and yes I was sober scared the crap outta me. Supernatural is a fictional show and I don't understand what I am supposed to be surprised about. Also Matthew 518 what,s the deal? I've seen demons with my own eyes and in visions and they come in various forms not just one. Demons are evil . Some might live on earth you don't truly know if they don't. Luke 10 :18 " I say satan fall from heaven like lightning ". And revelation 12: 7 " then a war broke out in heaven . Michael and his angels fought against the dragon, and the dragon and his angels fought back. But he were not strong enough , and they lost their place in heaven . 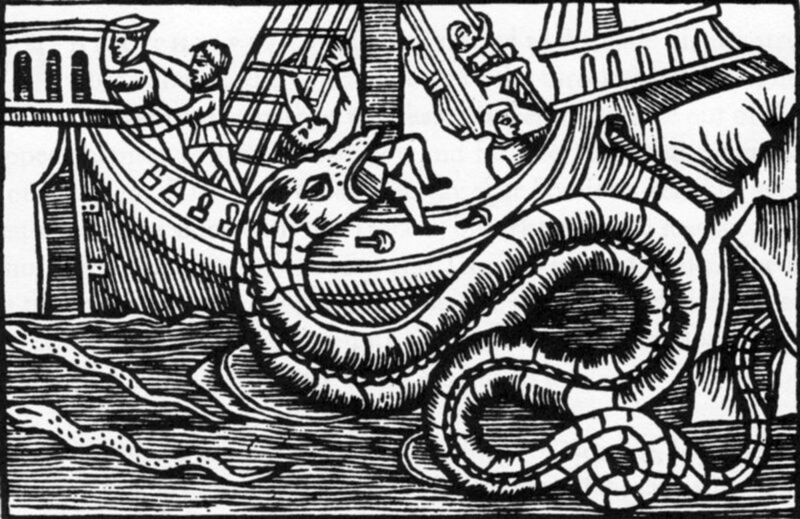 The great dragon was hurled down the serpent , the devil or Satan who leads the world astray. He was hurled to the earth and his angels with him. ok so if ANYBODY has seen a fallen angel!!!!!!! Plz tell me cuz I've seen a fallen angel before on YouTube . And demons ARE real!!!!!! This might surprise most Christians but, i KNOW demons are out there SOMEWHERE in conflict with God. And if so , why hasn't there been recent sightings of demons in the news?????? I MEAN COME ON U GUYS!!!!!! Why hasn't ANYONE seen demons lately?!?!?!?!?! Well , sorry Christainity I don't mean to rain on ur parade but I ACTUALLY know and believe demons are real!!!! ( Sorry Christainity and Christians but people have seen AND hunted down demons like on Supernatural or something like that...... So uhhhh yeah I bet I'm probably an " nerd who studies demons"
Wow! That is definitely one of the best comments anyone has ever left on one of my articles. Thanks Phoenix. Very insightful. i don't know wether any one of u will ever read my comment..
well that doesn't matter as someone someday will read it..& give a reply..
History Channel tells us all Gods Angels Demons Bigfoot Yeti Dragons has something or the other to do with UFO's..& Aliens..
if u go by christainity..
may be everything is related to harmones & brain & yes Genes..
& may be those creators of ours too feel the same things..
We Humans are not alone..
Just like imaginary friend there can be imaginary Enemies.. Most of the stories or say historical events in Hinduism gives indication of many Alien Lives..planets having life..
everything if u are a student of science specially the science which creators of Ancient Aliens use. we have God in Us..
Food for thought, Adam. I think what you're saying makes a lot of sense. I mean, if Demons are real, than all that stuff from the Bible would also have to be legit. But it's better to distance yourself from the Supernatural. The more you are in ignorance of it, the less likely you'll be burdened with such... unpleasant little truths. Things you have NO business messing around with. Josh: Apparently you haven't seen my other posts on Bigfoot and Mermaids. Lost City of Atlantis, though? Come on, man, that's crazy talk! This stuff is spectacular just the way you make it all seem real... VERY, cool!! We sure do cause a lot of pain for each other on this little planet. Perhaps demons aren't necessary. Haha, I think I agree with wyndi. People have hurt me much more than any demonic entity ever has! I also study a bit on UFO's and aliens. I know El Chupacabra is generally considered an alien. I doubt it's a demon, there's a big difference between them. 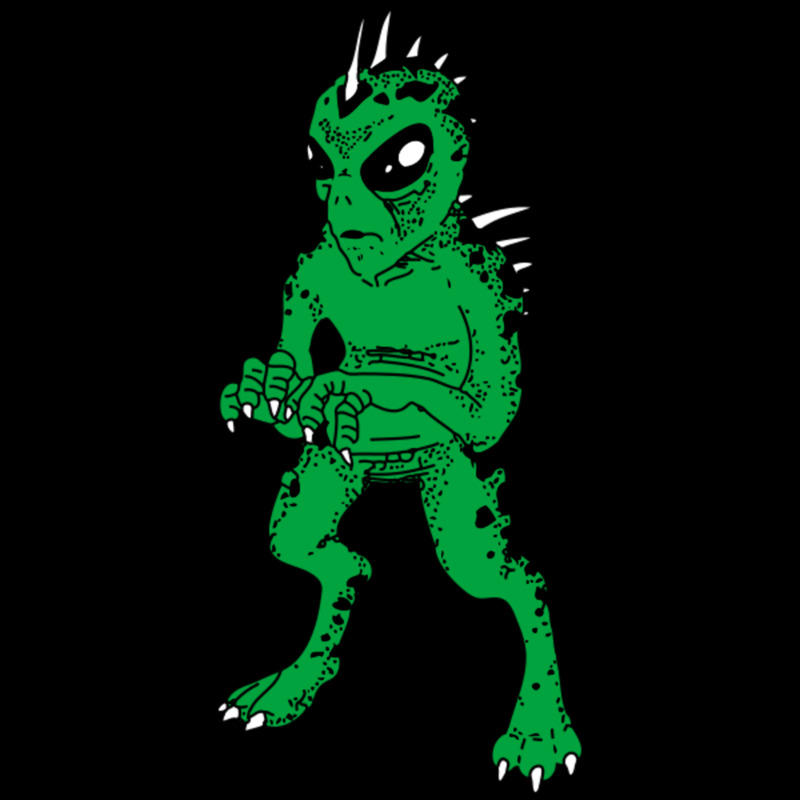 In response to the UFO/alien comment by Ceegen, you may be interested in 1996 Varginha, Brazil UFO incident during which hundreds of people testified to seeing El Chupacabra-like creatures which came from a crashed UFO that was tracked on radar coming into Earth's atmosphere from outer space. One of the soldier's who accompanied one of the alien entities to hospital died from 8% unknown toxic substances. Matthew: I see where you are coming from. All I can say is I have an open mind about these things, as I hope you can see from this article, and I welcome the opinions of others, Christian and otherwise. I do think people naturally have different definitions of "demon" depending on their religious and cultural perspective. I also think you are correct that the Christian view tends to dominate, but there is always room for other opinions and ideas. You may not convince people who are truly firm in their opinions, but your thoughts can certainly provide great food for thought for those of us who are still exploring and looking for answers. Cryptid, if the Christians didn't come on these articles and insult demons according to "scripture", I wouldn't say a word. The problem with demons, we always look at them from a Christian perspective. 99.9 % of Christians have never had an encounter with demons, they just hate them based on what they read and hear. Many of the ancient civilizations, such as the Greeks, looked to them as a combination of good and bad, some could actually be beneficial. Demons vary as much as humans do. And I've studied spirit keeping for a couple years now, people have had very positive experiences with them. We need to stop being so judgmental. Matthew: Thanks for your input, and I agree that there may be several types of spirits misidentified as demons, or, as the subject of this Hub discusses, even real-world creatures that may have led to demon legends. Just out of curiosity, I too would be interested in hearing more from Brenda and Deborah on the their experiences, but only if they'd wish to elaborate. However, this Hub isn't going to devolve into a religious argument, so please let's refrain from criticizing anyone's religious views too harshly. Deborah, according to scripture, angels are "inherently good" even though I could have sworn they are credited with destroying a couple cities and everyone in it all because "God" asked them to. Keep in mind, the bible is one of a large variety of views on demons and angels, and no more accurate than the rest. If a being lives on Earth, it's not a demon. Demon's don't live here, they exist on another plane, and can influence life here, for good or bad, but they don't actually live here. Brenda, what was it you encountered, and how do you know it was a demon? 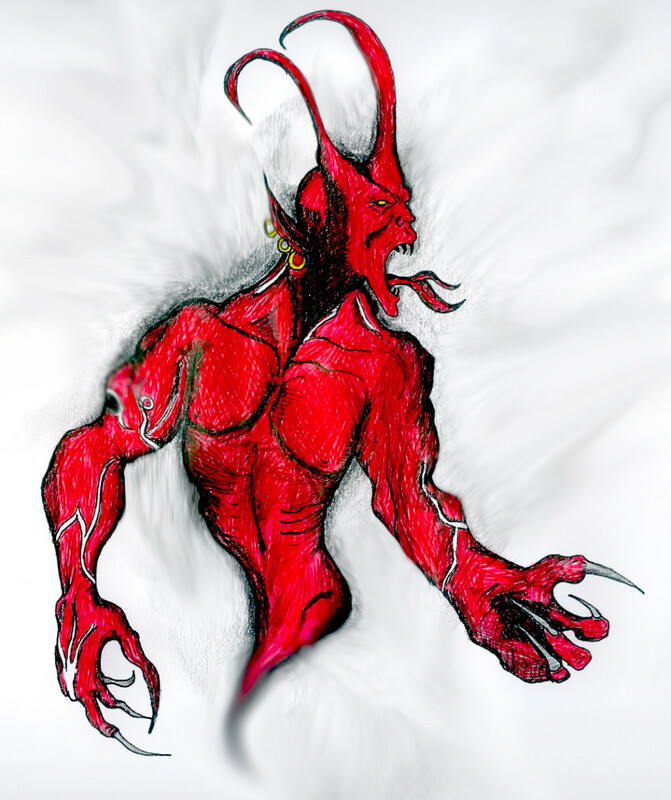 Christians are totally ignorant on what a demon is, and there are a large variety of spirits who are labelled "demons", but clearly aren't, such as the djinn and the succubus, among others. Interesting hub. According to scripture, demons are fallen angels and very evil. I'd hate to meet any of them but supposedly they are on earth, so it could happen. People all over the world don't just make this stuff up, especially the sightings of the same beasts around the same time by trustworthy people. Interesting, Shirley. I'd imagine many such reports are similar mistaken identity. A year or so ago there was a 'chupacabra' found near my hometown. Turns out it was a severely beaten raccoon with mange. But look up the link between "aliens/UFOs" and demons. Way more evidence that these things are not what they claim to be! Our current view on demons comes from Christianity. Like your hub points out, there are a variety of beliefs regarding these beings, and many don't look at them as evil in any way. Dark, yes, but not evil. Some even give them credit for helping mankind build modern civilizations, and teaching them "forbidden" arts, such as magick. I don't think most demons have a truly negative view on humans, but humans can do things that anger them. Wow! Those are some other great examples of possible demons here on earth. Thanks for adding that, and you're right: It can indeed be a frightening world. Mothman the Jersey Devil and the Chupacabra may be what we call demons. There are other entities that can be loosely called demonic and they are called It Boneless and Devil Tiger and they reside in the British Isles China and Australia. Author Karl Shuker mention them in his book Mysteries of Planet Earth. These are fog like entities which seem to have consciousness and intelligence and which attack and chase people outdoors and have an unknown ability to injure and kill. They could be elemental life forms or atmospheric life forms or theycould be demons in disguise or mdemons using fog to terrify injure and kill. Either the fog itself is ka demon or the fog is a vehicle used by a demon to do its evil work. These entities shun the light. These entities exude pure evil and malevolence. One woman in China was attacked and killed by these entities and her remains were never found. It's a frightening world out there.